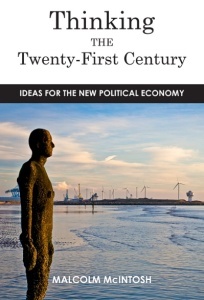 In a sophisticated and far-reaching blend of theory and reflection, Thinking the Twenty-First Century by Dr. Malcolm McIntosh takes a provocative look at the changes required to build a new global political economy. 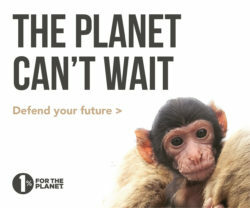 McIntosh charts five system changes essential to this transition: globality and Earth awareness; the re-balancing of science and awe; peacefulness and the feminization of decision-making; the re-organization of our institutions; and evolution, adaptation and learning. That they are all connected should be obvious, but that they are written about together is less common. 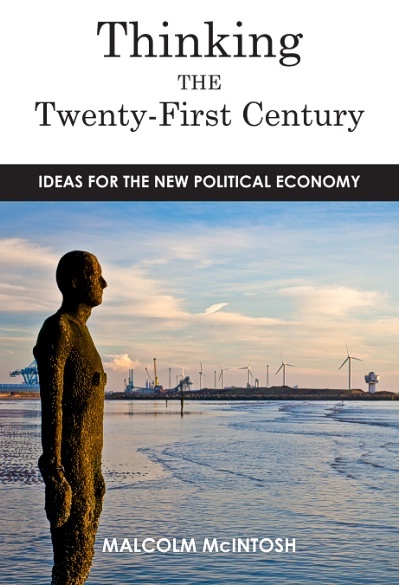 Drawing on influences including the essential thinking of Karl Marx to Charles Darwin, Rachel Carson to Slavoj Žižek, Thinking the Twenty-First Century contains dangerous and radical ideas for developing a new political economy for the twenty-first century. Published by Greenleaf Publishing. Distributed across the US/Canada through Stylus Publishing. For more information and to order your copy: https://gre.presswarehouse.com/Books/BookDetail.aspx?productID=441553.